MISSION — After two decades in office, Mayor Norberto “Beto” Salinas will be stepping aside after voters threw their support instead to City Council member Armando O’Caña to lead the city. 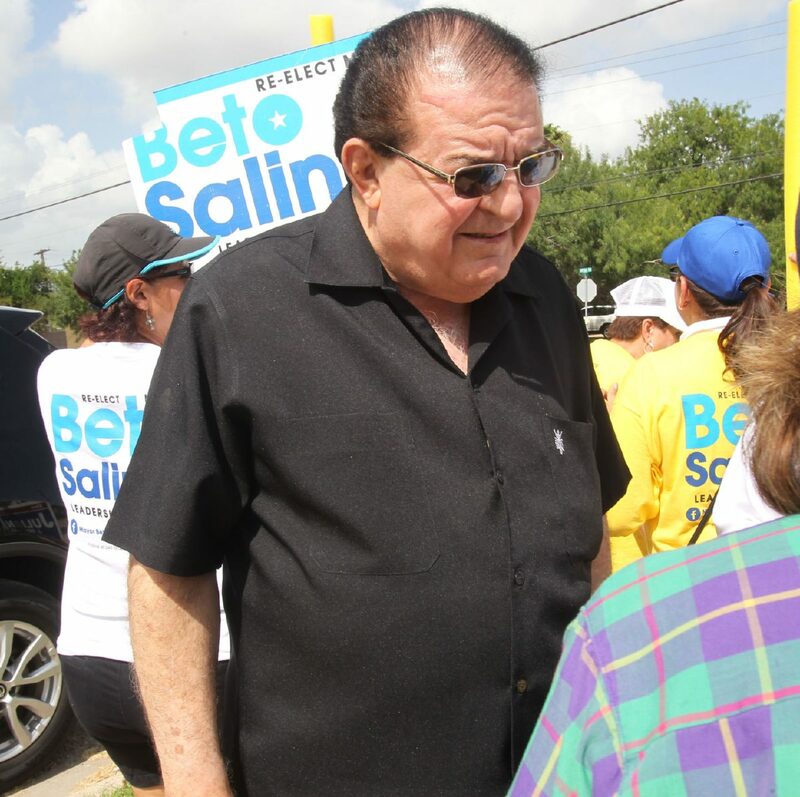 O’Caña received 51.12 percent of the votes in Saturday’s runoff elections to Salinas’ 48.88 percent, according to unofficial results, with a difference of 152 votes. The election to replace O’Caña on the city council, which also went into a runoff, saw attorney Gus Martinez emerge victorious with 52.39 percent of the votes. His opponent, Julian Gonzalez who is the current city manager of Hidalgo, received 47.61 percent of the votes. Gonzalez, who previously served on the Mission city council, said shortly before the final results were announced that should he come up short, they would deal with it and continue to participate in the community. Martinez could not be reached for comment after the results were announced. The stunning upset in the mayoral race came after a higher turnout than the initial city elections in early May, in both early and absentee numbers and election day numbers. Nearly 400 more early and absentee votes were cast in the mayoral runoff than the election in May. The runoff also saw higher numbers in election day totals with 208 more votes in the mayoral runoff than in May. 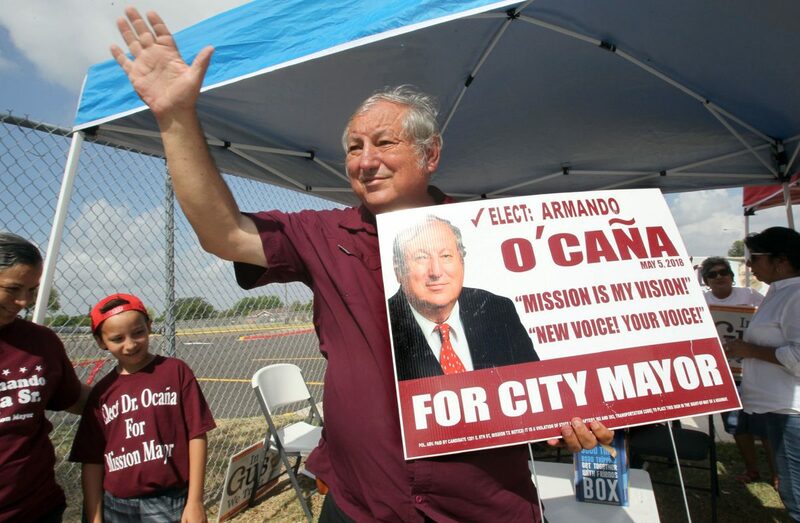 Earlier in the day, O’Caña camped out with his supporters outside of Bryan Elementary School as a steady stream of voters came to cast their ballots. He appeared in high spirits and said he was encouraged by the strong showing in the early and absentee votes which went in his favor during the initial election May 5. Indeed, the runoff early votes and absentees also put him ahead of Salinas with 51 percent going for O’Caña while 48.9 percent went to Salinas. O’Caña remarked on how the campaign turned a bit negative with newspaper ads that accused him of wanting to spend the city’s money and raise taxes. But eventually, he said, the atmosphere turned around. Salinas could not be reached for comment after the results were announced. What also kept him optimistic was the number of people leaving the polls giving him a thumbs-up or otherwise indicating their support for him. At one point a family requested to take a picture with him. “We’ve been getting a lot of support from (people) like this family here, a church-going family,” he said. In the end, he believed he and Salinas weren’t all that different.